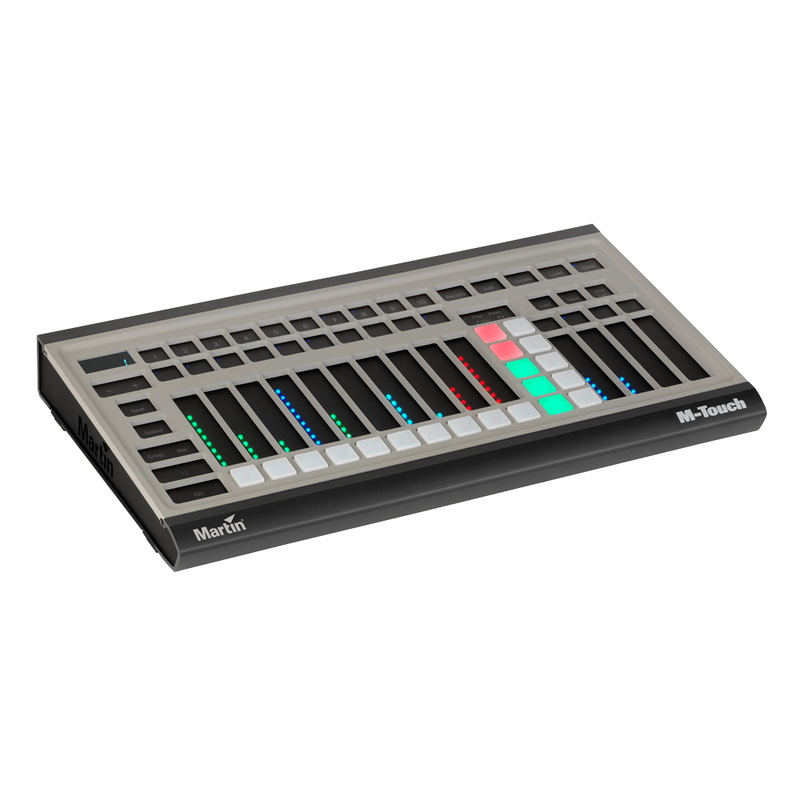 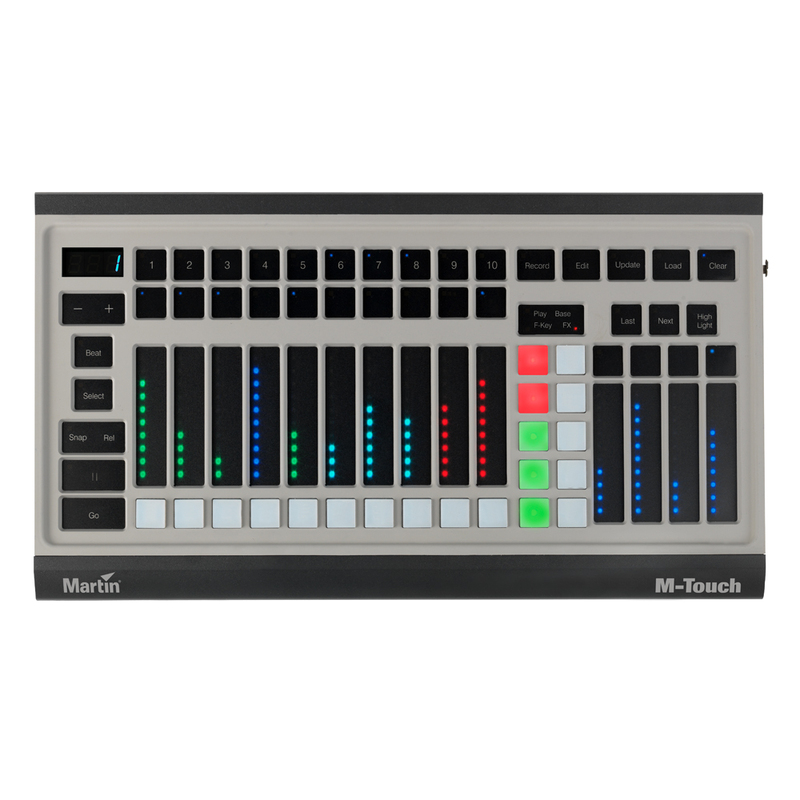 14 touch faders allow control of playbacks and fixture parameters while 20 velocity-controlled pads allow for new types of effects. 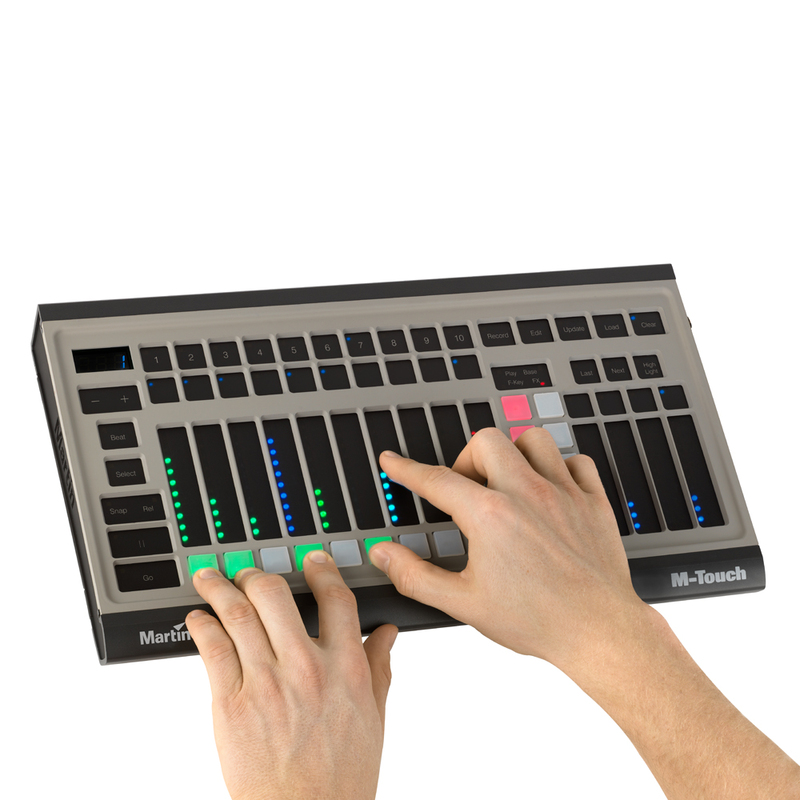 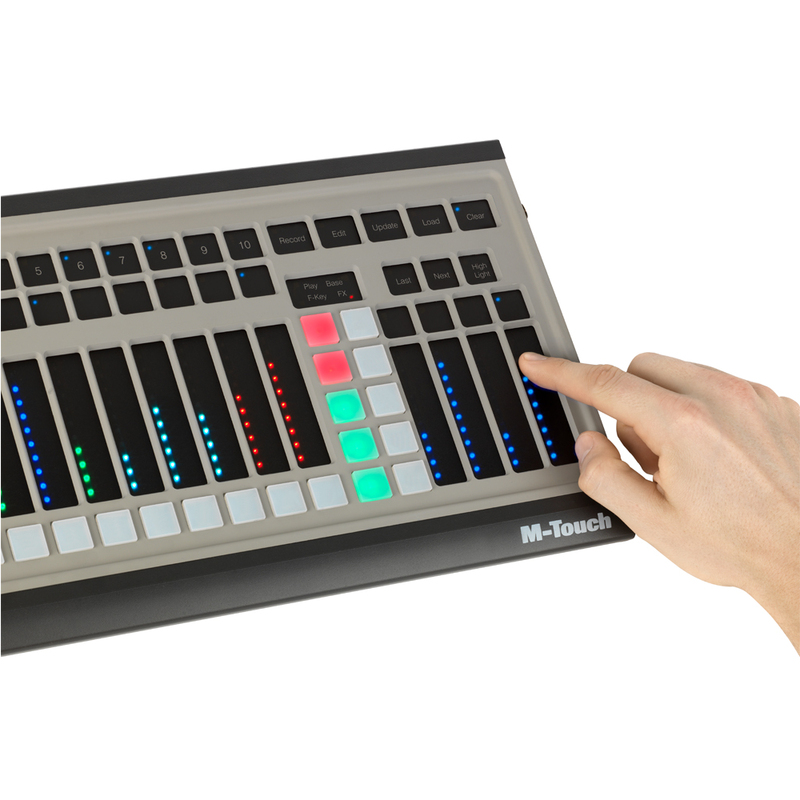 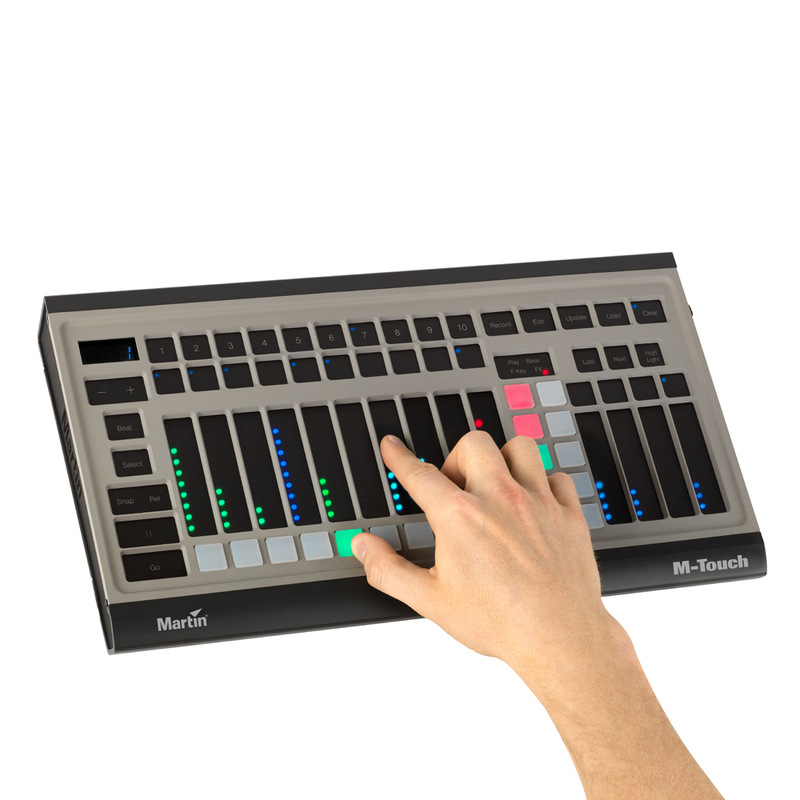 Additional programming buttons such as Record, Edit, Update, Load and Clear are accessible directly from the M-Touch control panel. 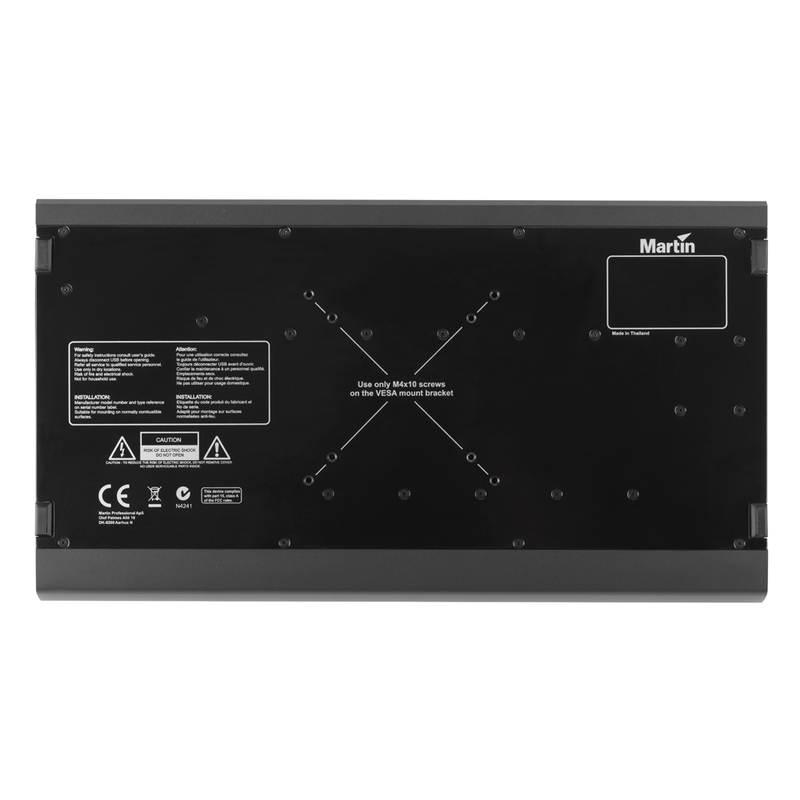 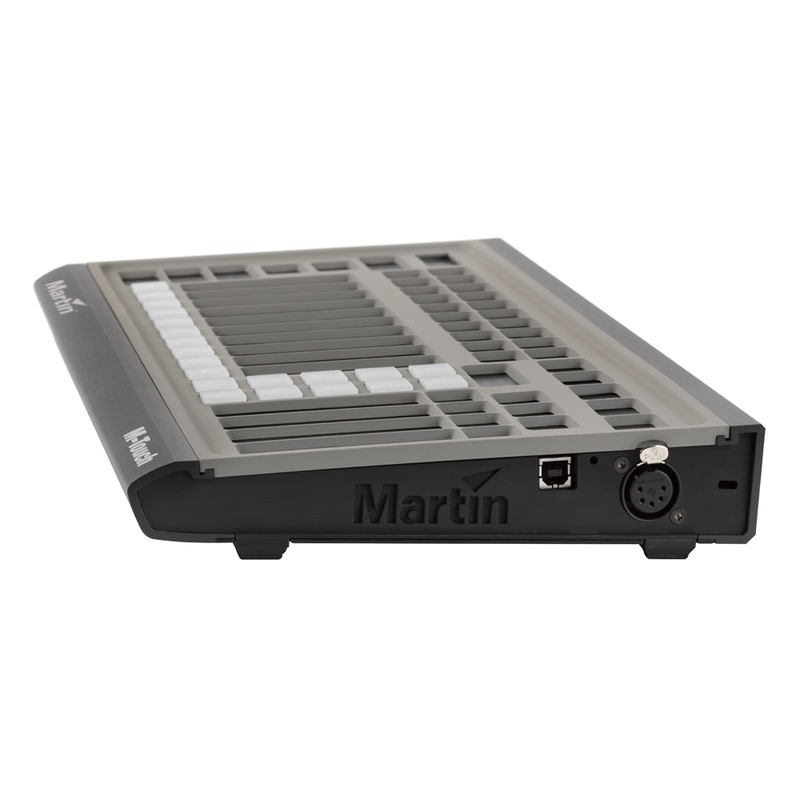 Martin M-Touch comes with one DMX 512 Universe for direct control of any compatible DMX device.